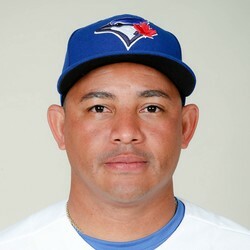 For the second time in three days, Ezequiel Carrera hit a home run off Francis Martes in the ninth inning of a blowout loss to the Astros. He did not start in either game. Carrera will head into the All-Star break slashing .285/.351/.419, and if Toronto's offensive struggles continue, perhaps he'll see a bit more playing time in the second half.